At MCL we understand the problems of running a busy household and carrying out the jobs that need doing so we offer a cost effective handyman service for areas including Rochester, Maidstone, Gillingham and Rainham as well as the surrounding areas of Kent , whether it be the odd job, electrical, plumbing, decorating or complete house refurbishment. 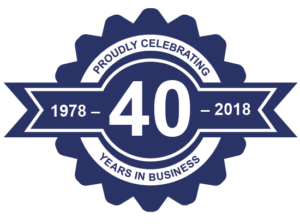 We are Medway Fair Trader and Which Trusted Trader accredited and have been established since 1978 so you can have peace of mind that you are in safe hands. Whether you are a home owner, business or landlord we can help carry out the job on time and on budget so give us a call for fast friendly service on 01634 241395 and speak to Bill or Andy. Install flat screen TV’s on walls. Raised borders and wooden planters. 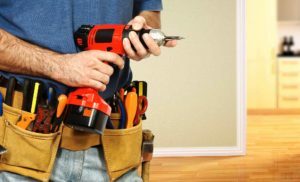 Our handyman service provides home owners and businesses’ a professional, courteous, quality service at a competitive price .We specialise in those small jobs that just never seem to get done; However, we also undertake those more ambitious projects such as an office refit, a new kitchen, bathroom, or a small extension. The handymen are professionally trained and experienced tradesmen. They come fully equipped when on the job and aim to finish each task as quickly and efficiently as possible. This way they save both your and their time as they have quite the busy schedules. In other words, you can be sure that when you book a handyman, he’d be fully focused and committed to help you as best as he can. Also, the specialists have flexible work schedules so they can render you their services whenever you need them most. We have been established since 1978 and with over 35 years of experience in all trades you can be assured of an excellent service and very competitive pricing. We offer bespoke services for businesses and landlords for rolling routine maintenance to ensure that your business and properties are always maintained and have the highest levels of health and safety covered for your employee or customer base. As well as one-off repairs, we also offer a rolling visitation service. Based on whatever schedule you choose, we can visit and make routine inspections – including electrical fault finding, checking and tidying wires and cords, gas certifications, or any other jobs or tasks that you need doing. For customers on a rolling maintenance program, we also offer attractive discounts! We can also help with remodelling your office. This could take the form of re-partitioning office space to your specification, as well as undertaking construction jobs to change the working environment. Whether you want a one-time reorganisation, or if you want rolling visits we have the staff and the expertise to make it happen – quickly, to the highest standard. Re-decoration and re-partitioning can make your business feel like a brand new office, all this quickly and without disrupting business. From initial contact through to completion of works however big or small we will endeavour to offer you a service that is second to none, a service that puts you at ease. We have many years experience installing disabled products for the vulnerable and the elderly so we understand the need for a customer to feel comfortable and secure when using our services and allowing access to their homes or offices, young or old. Please take a look at our testimonials to see what satisfied customers have said about our recent work and we look forward to hearing from you soon. Call us on 01634 241395 and speak to Andy or Bill. Email us at office@mclkent.co.uk for all enquiries. Or pop into the office and see our friendly faces for a chat about your requirements.